1400 participants from 76 countries attended the 31st World LPG Forum and made it a great success! Stay informed about the World LPG Forum and receive breaking news, practical information and exclusive invitations straight to your inbox: sign up to the Forum Voice now. Submit your email address in the "Read the Forum Voice" section at the bottom of the homepage. Please note that this year, the Gala dinner takes on a different atmosphere, wear comfortable clothes and shoes. Pants and closed toe shoes are highly recommended to enjoy this outdoor dinner on a ranch. Mr. King joined Southwest Research Institute in 1984. He was responsible for development of numerous gaseous-fueled reciprocating and rotary engines for both on-road and off-road applications. He pioneered research into understanding the effects of gas fuel composition on engine performance, emissions, and control. In 1992, Mr. King joined MESA Environmental, where as VP of engineering and general manager he directed both technical and business aspects of the company. MESA Environmental was the first company to produce a heavy-duty on-highway natural gas engine management system that incorporated advanced features like drive-by-wire throttle, direct-fire ignition, closed-loop lean-burn fuel control, boost control, and comprehensive diagnostics. In 1998, Mr. King joined EControls as vice president of engineering, where he was involved in engine control system development and new business development. EControls, an engineering consulting and product development firm, quickly established itself as an important engineering resource for its clients and a major supplier of control system components for on-road and industrial engine markets. In 2002, Mr. King established Motive Ventures, a product development and engineering consulting firm. Mr. King has been responsible for system conceptualization, development, calibration, and emissions certification of LSI and stationary engines for numerous engine manufacturers. He has 10 patents and authored numerous technical papers, publications, and reports throughout his career. Les Gingell began his career at Avco Lycoming, where he was responsible for marine gas turbine applications ranging from the transatlantic world record holder to the U.S. Navy’s Landing Craft Air Cushion (LCAC), as well as many megayacht and commercial ferry projects. In 1994, he joined MAN B&W initially as Director of Business Development and now Vice President of Sales for the America’s, and has been involved in many of the most advanced applications of large diesel engines, including the first 2 stroke powered LNG tankers, the first alternate fueled vessels, and numerous other projects. During Les’s tenure at MAN, all ocean going ships built in the US have been powered by MAN B&W main engines. Henry Cubbon is Managing Director of DCC LPG and is responsible for Ireland-based DCC’s propane distribution operations in the UK, Ireland, Sweden, Norway, the Netherlands, Belgium, France, Germany and most recently Hong Kong and Macau, after the £120mn ($165mn) acquisition of Shell’s propane business, DSG Energy, and the US with the £152mn ($200mn) acquisition of Retail West. Henry initially joined DCC in 2008 as Managing Director for Flogas Britain. Prior to that he was Managing Director of Antalis from 2000, overseeing its paper distribution business in the UK, Ireland and South Africa, having also held a strategic planning role at paper manufacturer Arjo Wiggins Appleton. Henry has also worked for Barclays Bank, and was Senior Manager at their Paris headquarters. Jeff Stewart is the President of Blue Star Gas, a retail marketer that operates in 7 Western states of the U.S. Blue Star Gas has 14 locations and is a family owned company, Jeff is the third generation in the business. Blue Star Gas is an active member of Alliance Autogas, supporting just shy of 1,000 vehicles fueling every day. Blue Star Gas has installed over 70 public access Autogas fueling locations in 4 primary metropolitan markets of the western states. Blue Star works hard in the continued diversification of its business in many off road engine applications such as generators, agricultural pumps and lawnmowers. Jeff has been very involved in the regulatory approval of renewable propane in the state of California by the California Air Resource Board. Jeff attended the University of the Pacific and received his Masters in Business Administration from the University of Oregon. He was awarded the Entrepreneur of the Year Award by the University of Oregon business school in 1999. Jeff has held numerous positions in the propane industry including Chairman of the National Benchmarking Council, Chairman of the Western Propane Gas Association. Head of Group Public Affairs – SHV Energy N.V.
Esther Busscher joined SHV Energy in 2017 to represent the group in Brussels towards European Union (EU) institutions and stakeholders. She is also responsible for the company’s Public Affairs strategy and leads its global Public Affairs community. 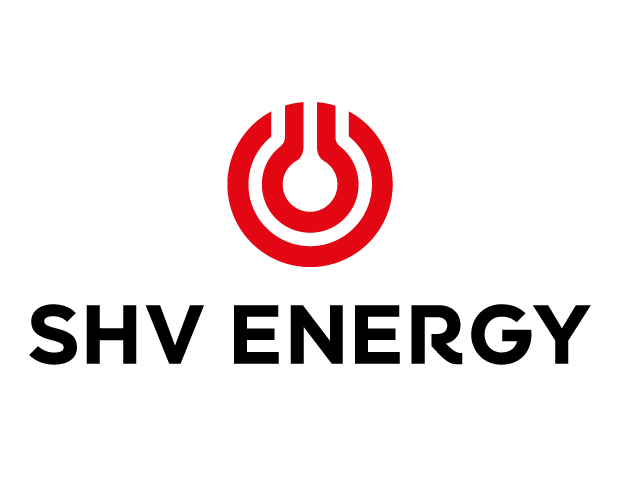 SHV Energy is a family-owned multinational organisation that consists of a group of specialised energy companies. These companies provide people and businesses with decentralised personalised energy solutions and services. As a leading LPG distributor, SHV Energy is committed to working sustainably with communities, stakeholders and policymakers to advance energy, together. Ms. Busscher is a Vice-President of the European LPG association, Liquid Gas Europe. Prior to joining SHV Energy, Ms. Busscher advised multinational and energy companies as an experienced Public Affairs (PA) practitioner for over 15 years. She spearheaded the energy team of a leading Brussels PA consultancy, and led the Brussels office of a leading global communications agency. As Founder and Senior Advisor of ThompsonGas, LLC., and its various subsidiaries and affiliates, J. Randall Thompson is leading the company his grandfather and his father grew to deliver exceptional propane energy and comfort products in the United States market. Mr. Thompson joined the company in 1987 as an installer while attending college. After a tour with the United States Marine Corps, where he served as a logistics non- commissioned officer during Operation Desert Shield and Storm, Mr. Thompson completed his BS degree at Shepherd University 1992, Mr. Thompson became Vice President of the company focusing on marketing and logistical improvements in the company. In 1998, Mr. Thompson became President & CEO of the company. At that point in time the company operated from one location with 8 employees doing less than $4 million in annual revenues. Through 30+ acquisitions the company now has 80 locations, 550 employees and is operating at approximately $200 million in annualized revenues. The company is currently actively engaged in five (5) acquisitions which should close by the end of 2016. In 2011, Mr. Thompson planted 35 acres of grapes on his family farm in southern Washington County MD. A 10,000 square foot winery and tasting venue opened in 2015. The facility and vineyard has been heralded as the Napa of the east coast. Mr. Thompson is active in many charitable areas including the Breast Cancer Awareness Foundation and the USO. His family has established a donor advised fund at the Community Foundation of Washington County to further many philanthropic endeavors. Mr. Thompson was born in Hagerstown, Maryland, is an avid golfer and is an accomplished pianist and vocalist. Stephen Kossuth is vice president of supply and logistics of AmeriGas Propane (since August 2016). In this position, he oversees propane supply contract negotiation, execution of risk management transactions to support retail sales and marketing programs, safe operation of logistical assets—storage terminals, common carrier truck fleet and railcar fleet—to ensure safe, efficient and timely delivery of product, and wholesale marketing management. Stephen joined AmeriGas in 2008 as a Procurement Director. He was promoted to Group Director of Supply & Logistics in 2011. Before joining AmeriGas, he held various roles in technology and management consulting. Stephen has a bachelor's degree in engineering from the University of Pennsylvania. In Rob’s current position, he leads Targa’s Downstream NGL Logistics and Marketing efforts for domestic and global markets. This follows eighteen months, starting in 2014, focused directly on LPG export opportunities from Targa’s Galena Park TX Marine Terminal. 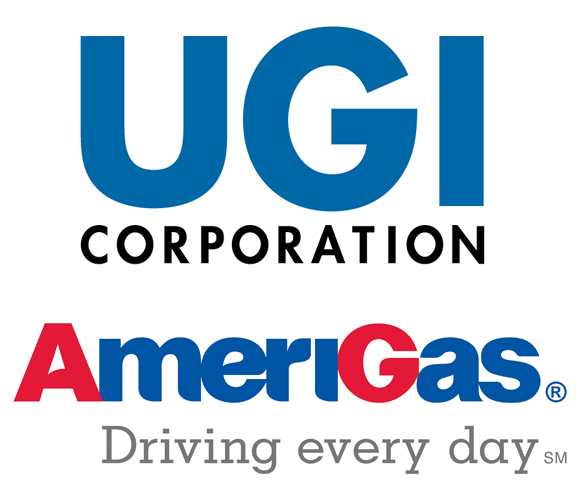 Rob brought a wide range of domestic US experience to the international LPG market. Rob started his NGL career in 1996 managing railcar fleet logistics with Warren Petroleum Co. in their Western US Region. Over the years of marketing for Warren and later Dynegy, he worked directly with refinery services focusing on the butanes and heavier products in the Western US. 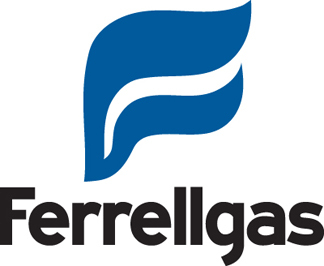 More recently with Targa Resources, he was focusing on the domestic propane markets and supporting the gas processing and raw NGLs at Targa’s Badlands assets in the Williston Basin of North Dakota. Rob received both B.S. and M.B.A. degrees from the Univ. of California at Davis. Philip Shaw is Global LPG Lead for Argus Media, based in London. Philip started his career at BP before moving into energy consulting, working with Accenture and latterly Deloitte, where he worked with a range of oil and gas companies delivering projects across the upstream and downstream sectors. Philip was previously head of Argus’ Consulting Services group, the team responsible for the production of the annual Statistical Review of LPG for the WLPGA and Liquid Gas Europe. Molly Smith Morris joined Equinor in 2008 and has for the past twenty years worked in the Refining and Oil and Gas downstream marketing and trading industries. Molly assumed her current position as Vice President of Marketing and Trading, Products and Liquids, on October 1, 2017. In the timeframe 2008 – 2017, Molly held several trading and management positions for Equinor including global responsibility for LPG trading and North America responsibility for LPG and Light Ends trading. Before joining Equinor, Molly worked for Sunoco, Inc. holding several positions within the refining and commercial sectors. Molly holds a Bachelor of Chemical Engineering degree from Villanova University in the United States. Paul Cohen is Partner and Managing Director, Energy & Industry at Ketchum. In this role he helps multinational companies, industry associations and governmental bodies communicate complex energy and industrial topics in ways that resonate with key stakeholders. Paul both leads and collaborates with Ketchum teams across multiple markets to facilitate seamless coordination of worldwide campaigns. A corporate communications specialist with more than two decades of experience in Europe, North America and Asia, Paul has extensive experience in reputation management, media relations, brand development and crisis communications, and has represented a wide range of clients, including Samsung, Starbucks and the Russian Government. In addition to leading Ketchum’s work for the International Gas Union (IGU) – where he spearheaded a global campaign to focus on natural gas’ role in improving air quality – Paul has represented BP, Gazprom, Pertamina, among other major players in the global energy industry. Before joining Ketchum in 2003, Paul worked in the public relations and media industries for more than a decade, previously working with public relations firm Burson-Marsteller, where he served in senior positions in their Beijing and New York offices. In both China and the United States he managed public relations and communications programmes for clients in industries ranging from banking and finance, to Internet and technology, to media and entertainment. During this time, he gained significant experience in issues management, media relations, CEO and corporate reputation positioning, brand development and crisis preparedness and communications. Paul was named as one of PRWeek’s “40 Under 40” and has been a key member of teams that have won most major industry awards, including Silver Anvil, PRWeek (US, Europe and Asia-Pacific), CIPRA Gold Sabre, Cannes Lions finalist, and PRSA New York Big Apple. He serves on the advisory board for the International Center for Journalists and served as a Director of the Council of Public Relations Firms of Hong Kong. He earned a BA with highest honors in comparative literature from the University of Michigan. Mr. Desjardins is President and Chief Executive Officer of Superior Plus Corp., apublic company based in Toronto, Ontario that, through its subsidiaries,distributes and markets propane and distillates in both the U.S. and Canada,and supplies sodium chlorate, chlor‐alkali, potassium and sodium chlorite inNorth America and internationally. Mr. Desjardins is also an independentDirector of Canadian Imperial Bank of Commerce, since February 2009. Priorto joining Superior Plus in 2011, Mr. Desjardins was a partner of the SterlingGroup LLP, a private equity firm located in Houston, Texas. Mr. Desjardins alsoserved as President and Chief Executive Officer at Transcontinental Inc., thirdlargest printer in North America and largest in Mexico, from 2004 to 2008 andChief Operating Officer from 2000 to 2004. Mr. Desjardins holds a Masters ofBusiness Administration degree from the University of Quebec and is agraduate of the Harvard Business School Management Development Program. Alex joined World Central Kitchen as Chief Program Officer in May 2018 to oversee the organization’s long-term programs in Haiti, Puerto Rico, Nicaragua and other locations that focus on empowering communities and strengthening economies through the power of food. Alex has more than 20 years experience in international development and environmental non-profit management, including as Executive Director of the International League of Conservation Photographers, Executive Director of the Fabretto Children’s Foundation, and as a consultant with WEDGE Resources working with organizations like SNV Netherlands, Tostan, and the UN Foundation’s Global Alliance for Clean Cookstoves. Alex earned her BA in Finance from Georgetown University and her MA in International Affairs from George Washington University. Fluent in both Spanish and French, she is an avid traveler, foodie, road biker, and photography enthusiast. Nick Quintong is Co-founder and CEO of PayGo Energy. PayGo Energy's hardware and software solution rapidly develops LPG markets for cooking by reducing cost barriers to LPG (via pay-as-you-go functionality) and by transforming the connection between customers, retailers and wholesalers. Prior to launching PayGo, Nick held a variety of commercial roles at General Electric. As a finance professional with over 20 years of experience in the energy industry, Amber Fennell serves as Group Manager- Performance & Strategy (LPG) at Origin Energy. Prior to joining Origin, Amber held senior Finance and Commercial roles at Simply Energy and AGL. Amber has extensive experience driving and managing change and transformation initiatives as well as experience across all facets of Financial Management including Strategy, Financial accounting, Management reporting, Planning, Treasury, Accounts payable and Risk management. Amber is a member of the Australian Institute of Company Directors and is a director of LPG boards in which Origin holds an interest, in Papua New Guinea, Fiji and American Samoa. Amber holds a Bachelor of Commerce and a Diploma in Modern Languages (French), from the University of Melbourne and is a Certified Practicing Accountant (CPA). Dr. Walt Hart is a Vice President at IHS Markit, where he is the lead subject matter expert for global Natural Gas Liquids Research and Consulting. Based in the company’s office in Houston’s Energy Corridor, Walt joined IHS in 2011 when IHS acquired the international energy consulting firm Purvin & Gertz, which he joined in 2006. Dr. Hart is the lead expert for the IHS worldwide NGL multi-client subscription services, and he leads the three annual international LPG Seminars in the US, Asia and Latin America. He has also designed and taught workshops and training courses. His proprietary studies have involved business analysis and strategy, market studies, forecasting, valuations and legal support. He works primarily in the area of natural gas liquids, but also has significant experience in petrochemical feedstocks and alternative fuels. Prior to joining Purvin & Gertz in 2006, Walt spent 14 years at The Dow Chemical Company / Union Carbide as well as two years at Owens Corning Fiberglas. He held positions in process engineering, technical sales, research and development, finance and strategic planning. He has also taught at the undergraduate level. Dr. Hart received his Bachelor of Science in Chemical Engineering in 1986 from the University of Notre Dame, and later an MBA from the University of Charleston and a Ph.D. in Chemical Engineering from West Virginia University. He is a registered Professional Engineer, a member of the American Institute of Chemical Engineers, and IHS Markit’s representative to the World LPG Association. An Envirofit co-founder and director, Tim is responsible for global business development andsales activities. Tim has spent over 20 years living and working overseas, connecting to theglobal markets and customers Envirofit serves. He has established and directs Envirofit incountrysubsidiary companies in multiple countries across Asia, Africa and Latin America,and brings extensive partnership development and management experience to the team.Mr. Bauer received the William E. Morgan Alumni Achievement Award from Colorado StateUniversity in 2010, and was also honored as one of Time Magazine’s “Heroes of theEnvironment”. In 2008, Mr. Bauer was awarded the Rolex Award for Enterprise forcommercialization work on direct in-cylinder fuel injection technology for 2-cycle enginepowered vehicles used throughout Asia and Africa. Tim completed both his B.S. and M.S.degrees in Mechanical Engineering at Colorado State University. Head of Corporate Communications in MAKEEN Energy, a world-leading union within the energy business comprising among others Kosan Crisplant and Siraga. Lillian has been in the gas business since 2007 working with sales, marketing and communication on a global level. She has a master degree in Communications and Languages. Since joining the Energy Information Administration in 2014 Warren Wilczewski has led EIA’s effort at implementing survey and analytical changes to the way the agency collects and disseminates Hydrocarbon Gas Liquids (HGL) data. Warren contributes to EIA’s HGL analysis along a wide range of products, including short-term and long-term energy outlooks, near-term articles, energy-by-rail, and various assessments of the HGL complex. Prior to coming to EIA Warren worked at ICF International, where he supported the company’s development of an NGL practice as the lead market analyst. Warren received his BA in International Relations/International Trade from the University of British Columbia, and his MS in Global Affairs/Energy & Environment from New York University. Stuart Weidie is the president and CEO of Blossman Gas, Inc., the largest independent propane company in the nation; president of the nationwide autogas fueling network, Alliance AutoGas; and founder of the propane autogas industry coalition, AutoGas for America. Through his work with Alliance AutoGas and Autogas for America, Weidie leads the movement to power America’s fleets on propane autogas, the world’s most widely used alternative fuel. He holds a B.A. from the University of New Orleans and a master’s degree from the College of William and Mary. Weidie started his career with Blossman Gas, Inc. in 1991. He is the third generation of the Blossman family to lead the company. Weidie is committed to promoting the propane industry worldwide, and has served in many leadership roles with national associations, most notably PERC and NPGA. He served as the 2016 Chair of the National Propane Gas Association, and the Chair of what is now called Research and Development Advisory Committee at PERC for more than 10 years. During this time, many of the new technologies now used industry-wide were tested and developed. Weidie is a widely-acclaimed speaker on the benefits of propane for home and business use, and particularly autogas. Paige serves as a member of the AmeriGas executive leadership team and is tasked with leading operations in the Central region. This includes overseeing the Central leadership team while driving results in Safety, Growth, Customer Service, Distribution improvement and financial performance. Paige has also held various other roles with AmeriGas including Director of Strategic Initiatives, Director of Region Operations, Director of Special Projects, Director of National Accounts, Area Director and Customer Relations Representative. She has been in the LPG industry for 28 years. Paige has more than twenty eight years of experience in the propane industry, twenty three of those at AmeriGas. Paige plays a role in the NPGA , PERC and is the current Chair for the World LPG Association – Women In LPG. She is a member of the Women In Propane Council and a proud mentor for both the Women in Propane Council and the World LPG Association. She lives in Minford Ohio with her husband, Larry. They have a combined family of three grown children (and their spouses) and four grandchildren. In her free time she enjoys travel with her husband and three dogs in their motorhome and spending as much time as possible with her grandchildren. Simon is the Managing Director of Morris & Chapman, a Brussels based communications agency. Over the past 20 years Simon has worked closely with a range of industries on reputation management, corporate positioning and policy related communications. Simon combines his academic background in politics and international relations with a passion for creative on and offline communications that deliver results. He has worked closely with the LPG industry at local, European and international level and has produced a broad range of communication tools advocating the use of LPG targeted at consumers, industry and policy makers. Simon has a keen interest in the energy debate in Europe and beyond and is a staunch supporter of energy solutions that deliver results today and offer a viable alternative for the future. Having worked with many companies in different parts of the world, from car manufacturers to developers of innovative cooking solutions, Simon has developed a keen interest in LPG as a fuel to power a sustainable energy future. Broadening the horizon of LPG applications will help shape this energy future, on land, at sea and even in the air as well as create new opportunities for the LPG industry. André Pimentel is Head of Sales & Marketing and Board Member of ISA, an IoT company focused on remote monitoring solutions for the Oil & Gas industry. Previously, Andre was Chief Revenue Officer of EyeSee, a startup with a novel solution for digital advertising. Before EyeSee, Andre worked as Global Business Developer at Nokia and Project Manager at Alcatel-Lucent. André counts with more than 15 years of experience in Telecommunications, Internet of Things, Machine-to-Machine and Digital Advertising solutions, and is constantly looking for innovations and applications of IoT. Nathalie St-Pierre, President and CEO of the Canadian Propane Association, is leading the over 400-member association to influence and shape government policies and drive the conversation for a low-emission Canada. A member of the Québec Bar Association, Nathalie brings a diverse set of skills to the association, from establishing strategic alliances and seizing opportunities with government, to executing strategic communications plans. She has over twenty years of experience in both private and not-for-profit sectors, with a record of accomplishment in strategic leadership and organizational development. She has also contributed her time and expertise to countless boards of directors and is an accomplished speaker, having actively participated in speaking engagements across Canada and internationally. President and Chief Operating Officer - Tecogen, Inc.
Robert Panora serves as President and Chief Operating Officer of Tecogen. Over his tenure with Tecogen, he has been the principal visionary for natural gas engine-driven technology in cogeneration, chillers, heat pumps, and inverter-based power generation. He was also a co-inventor of Tecogen’s patented emissions aftertreatment technology and has been instrumental in leading further R&D initiatives for this technology in the automotive and propane forklift industries, as well as contributing to several subsequent related patents and technical papers. At Tecogen, Mr. Panora has overall responsibility for engineering, service, and manufacturing with a key role in business development and investor relations. Mr. Panora holds B.S. and M.S. degrees in Chemical Engineering from Tufts University. Pete Dwyer joined Cavagna in 2015 as the VP of Sales & Business Development for Cavagna North America. Pete started in the propane industry in 1993 as a service technician and has worked in retail, distribution, and manufacturing in technical, training, sales, and management roles. Industry Marketing Manager - Siemens Industrial Turbomachinery Ltd.
Mike Welch is Industry Marketing Manager for Siemens Industrial Gas Turbines Ltd. working for the New Markets team looking at new opportunities for gas turbines. Based in Lincoln UK, Mike’s responsibilities cover the complete Siemens’ range of industrial and aero-derivative Gas Turbines for power generation applications around the World. Mike has an Honours Degree in Electrical Engineering from Loughborough University of Technology in the UK. He started his career as a Commissioning Engineer with ABB, before joining Ruston Gas Turbines in Lincoln as an Electrical Applications Engineer. Since then has worked in both Sales and Business Development roles with responsibility for gas turbines in onshore and offshore applications for more than 25 years. Mike has written or co-written papers for various International conferences on topics such as gas turbine fuel capabilities, offshore power generation, and Energy Efficiency. Mike is a Member of the Institute of Engineering and Technology. Michael is a specialist in the field of NGL/LPG supply/demand, commercial and shipping. Michael has led a number of global NGL/LPG projects, focusing on commercial aspects, supply/demand issues, shipping analysis and supply/demand, price & freight forecasting. Michael started his career in the gas market in 2005 in the Greek shipping industry before working for Poten & Partners between 2007 and 2017 as an LPG senior consultant and subsequently manager of the NGL/LPG consulting practice. During his time as an NGL/LPG advisor, Michael has consulted on NGL/LPG economics, investment valuation, strategic/business analysis, infrastructure, due diligence and marketing projects including developing business plans and strategies for a wide range of companies. Michael, a Greek native, has a BSc in Shipping, Trade and Transport economics from the University of the Aegean in Greece and an MSc in Project Analysis, Finance and Investment from the University of York. He is also a frequent speaker at various international NGL conferences. He is based in Houston. Luis Landeros is President of the LPGas Distributors Association (ADG) in Mexico. He has more than 25 years of experience with retail companies (DTS), consumer products companies as well as LPG companies as Marketing and Sales Consultant, Commercial Director, CEO, Mergers and Acquisitions and as a member of Stockholders Boards. The ADG works towards promote and defend common interest of the biggest LPG Distribution Corporate Groups in Mexico with Mid and Downstream operations and more than 250 companies representing 45% of total market share. The ADG participated actively in the elaboration of secondary laws and regulation for the Mexican Energy Reform including Hydrocarbon Law, Administrative Resolutions and LPG’s Sector Official Standards with Energy Secretariat and the other Authorities involved. Jose Ramon Arango is a Senior Specialist for the Executive Vice Presidency for Planning and Business Development of the Panama Canal Authority. He holds a Bachelor Degree in Business Administration from Universidad Santa María La Antigua, Master Studies in Maritime Development from the School of Law from the University of Panama. He completed executive programs in Advanced Maritime Economics and Logistics, from the Center of Maritime Economic and Logistics - Erasmus University of Rotterdam, on Pricing Strategies from The Transportation Center of Northwestern University and on Project Management from Texas A&M University. He has been with the Panama Canal since 1991. Until 2000, he held several positions in Canal Financial Management and Organizational Effectiveness. In 2001 he was transferred to the Executive Vice Presidency for Planning and Business Development as an International Trade Analyst for the Liquid Bulk Segment, responsible for research, analysis and management of studies and relevant information about logistics, international trade and world economy and its impact in Canal competitiveness against other routes and liquid bulk transportation alternatives. Mr. Pandey graduated in Electronics Engineering in 1998 and completed his MS(Information Technology) in 2004. He has completed his management certification program "Cutting Edge" organised by world renowned IIM, Ahmedabad in year 2009. He started his career as Customer Support Engineer in Sanmar Weighing Systems Limited, Chandigarh during 1998. Later on, Mr Pandey joined Indian Oil Corporation in April 2001. He has worked in LPG Plant Operations at various locations across India - Jaipur, Bikaner, Kashipur & Aligarh including working as Location Incharge. In May 2014, he moved to IOC Marketing Head Office in Mumbai and at present working as Chief Manager (LPG-Operations). His current job profile primarily focuses on complete "Automation of LPG Plants" which includes design & development of new automated machines for plants, Functional developments & changes in IOC ERP wrt to LPG Operations, Design of various Software Requirements and functional design for LPG processes, integration of existing standalone automated processes, etc. With the sheer teamwork of LPG department, recently one of IOC's LPG bottling Plants got the credentials of becoming first automated LPG Plant (IntelliGreen Plant) of India. He is also responsible for monitoring of Plant operations, preparation of All India LPG Operations MIS, LPG machine/software Vendor development, Monitoring and achieving key performance parameters (KRAs and KPIs). Mr. Pandey is a regular faculty for IOC officers for taking sessions on Plant Operations, Statutory Requirements, Operations Management, SAP, Maintenance, etc. in IOCL at Plant, State, Regional and Head Office level. Apart from his extreme passion for Technology & Automation, he has avid interest in fitness & sports including regular participation in Volleyball, Badminton & Marathon events. Prior to forming GTI with Dave Tulk, Gerry was a Principal at Gas Processing Management Inc. (GPMi) and prior to GPMi, Gerry was a Managing Consultant in the Calgary office of Purvin & Gertz Inc. Both GPMi and Purvin & Gertz were internationally renowned, independent oil and gas consultancies. Prior to joining Purvin & Gertz, Gerry worked in various commercial and operational roles for ATCO Midstream Ltd., TransCanada Pipelines Ltd., Murphy Oil, Alberta Natural Gas Ltd, Esso Resources Canada and Texaco Canada Resources. Gerry is a frequent speaker at crude oil, natural gas, midstream and petrochemical conferences. Fausto Marcigot is CTO of PayGo Energy. PayGo Energy has developed a hardware and software solution that accelerates LPG adoption in emerging markets. PayGo's technology reduces cost barriers to LPG (via pay-as-you-go functionality) and drives supply chain efficiencies by connecting customers, retailers, and wholesalers of LPG. Prior to launching PayGo, Fausto worked in the power generation industry in the UK and worked for waste to energy companies in Kenya and Madagascar. Based in Houston, Texas, Dave is senior vice president and Division Head, responsible for the overall commercial and operating aspects of IHS Markit’s Energy & Natural Resources Division, a leading global provider of information, insight and consulting services to the global energy, chemical, petrochemical, refining and related industries.During a career spanning more than 30 years in the energy value chain, Dave has gained deep global experience covering a wide array of financial, strategic, technical and functional assignments. Before his appointment to head the Energy Division, Dave was senior vice president and global head of IHS’ oil markets, midstream, downstream and chemical businesses. In that capacity Dave had global responsibility for the full spectrum of IHS’ data, analytics, insight and consulting services.Prior to its acquisition by IHS, Dave served as executive vice president of business advisory services at Chemical Market Associates Inc. (CMAI), a leading provider of chemical information, insight and consulting. He also was an elected member of CMAI’s board of directors.During his career at CMAI, Witte also served in other leadership roles of increasing responsibility, including vice president of strategy and marketing, managing director of CMAI Asia, and global business director and founder of CMAI global fibers and feedstock service. Dave also held previous roles in CMAI’s aromatics consulting service as an expert on the polyester value chain.Earlier in his career, Dave was employed by Chevron Corporation and later Chevron Chemical, with technical and commercial roles in refining and chemicals. In his chemical role he held a number of technical and commercial roles during which he helped develop and commercialize Chevron’s proprietary Aromax® technology; a process for which holds working patent.Dave earned a bachelor of science in chemical engineering from Louisiana State University and 1986 and was recruited by Ethyl Corporation, where he spent several years in process and project engineering roles working in the area of bromine chemical processing. Witte also received a certificate in financial planning from the University of Houston and Strategic Planning from the Wharton School of Business. He is a frequent author and speaker serving as an expert on the Energy value chain. Dan has over 15 years of experience in developing and deploying Distributed Generation (DG) technologies in the US and Europe working with global energy companies and electric and gas utilities. Expert in the commercialization of advanced energy technologies, Dan has led multiple market introduction programs of micro-CHP products and other renewable technologies including geothermal, heat recovery and wind power. Prior to joining Enviro Power, Dan held management positions at Ormat Technologies, Repower AG, Gamesa Wind and Qnergy where he led business development and marketing activities. Dan holds an M.B.A. from Cornell University, Johnson Graduate School of Management. Cinch Munson is the senior vice president of business development at the Propane Education & Research Council, where he leads the US propane industry’s efforts to work together with related industries to grow propane demand through business development, research, product development, and outreach. He joined PERC in 2014. Cinch has had a career of business development leadership. As director of market operations at Mercaris, he helped launch a new online trading platform for specialized agricultural commodities. As manager of product quality and innovation for Oxbow Animal Health, he led quality programs and managed multiple product launches into the global market. As an international projects manager at AgInfoLink, he helped international agribusiness companies expand into new markets with traceability and supply chain management solutions. Cinch grew up on a cattle ranch in Nebraska. He received a bachelor’s degree from the University of Nebraska-Lincoln and a master’s degree from Colorado State University. He lives in North Platte, Neb., with his wife and three sons. Civil Engineer, University of Chile; MBA, IESE, University of Navarra, Spain. Executive for more than 30 years in the fuel and LPG industry, holding different positions including Chief Administration and Finance Officer, Sales Manager and Chief Commercial Officer. Member of the Board of several companies, including Energas; Norgas; Inversiones del Nordeste (Colombia) until the year 2017. Director and former Chairman for more than 20 years of Chile´s LPG Association. Currently Corporate Commercial Officer of Abastible for Chile, Peru, Ecuador and Colombia and representative of Abastible in the Industry Council of the WLPGA.